Canadian organizations are getting tougher in fighting online attackers but not tough enough, if a new report from a security vendor is representative. –and lack of documented incident response. Of the firms surveyed, 58.48 per cent reported having data exfiltrated in 2018. Of those, just over 24.5 per cent had what they described as sensitive but non-personally identifiable information (PII) taken. Just over 25 per cent of organizations victimized lost PII customer or employee information. The report calculated an attack success rate. While the average number of attacks were down in 2018 compared to the year before, nearly three per cent of all types of attacks resulted in a successful exfiltration, versus 2.1 per cent of attacks resulting in a breach reported the year before — a jump of one-third. incidents per organization per year (versus an average of 9.33 breaches per organization in 2017). 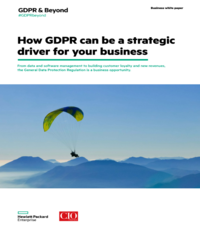 Firms also have organizational blind spots to risk areas, the report found, including understanding the data-flows between an organization and its third-party partners, suppliers, and vendors; knowledge of government privacy legislation; cyber security responsibilities in cloud environments including patching and updating software; and exposure to insider threats from employees or contractors. The survey part of the report was conducted by IDC Canada of 407 IT security and risk and compliance professionals with at least 15 employees. Eighty-seven per cent of the IT security respondents were at a supervisor level or higher. To gauge security readiness and cyber resilience respondents were asked questions around aspects of the NIST cyber security framework. –the average cost per organization of responding to and recovering from cyber security incidents increased significantly from $3.7 million last year, to between $4.8 million – $5.8 million this year. One of the more alarming findings: Time to recovery is increasing. Here’s another: Of the survey respondents, 8.4 per cent indicated that it took them longer than a month to patch an aspect of their IT environment. Over 90 per cent of these respondents understood the risks associated with unpatched IT environments, with 59 per cent unable to update/patch faster due to IT and business reasons. “Of greater concern, one third of these respondents indicated that they were aware of the risks they were exposing their organization to but were willing to take these risks or had no particular reason why they didn’t patch or update sooner,” said the report. One of the more revealing findings: Organizations that follow fundamental cyber resilience practices spend an average of 16.1 staff work days recovering from cyber security breaches per year versus 20.5 days for organizations that do not. Who is being realistic? Year over year, says the report, there’s been a very large increase (22 per cent) in the confidence of smaller organizations of their ability to prevent cyber security breaches from happening. Perhaps that’s because small organizations are putting more resources into cyber security. 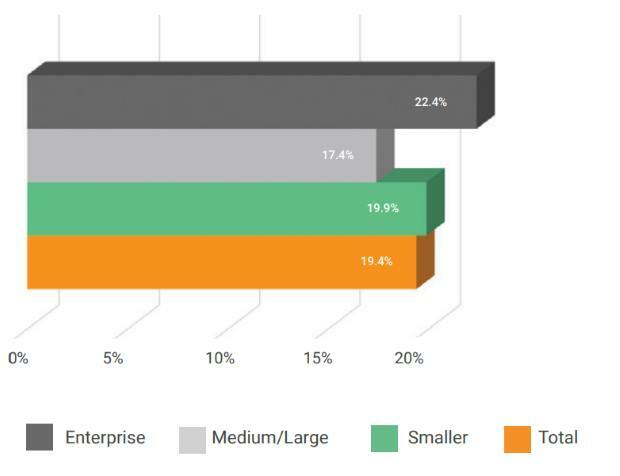 On the other hand, the report found the confidence of medium/large, and enterprise-sized organizations dropped significantly compared to last year. Organizations have to do regular threat assessments, create a cyber resilience plan and keep it up to date and practice cyber security fundamentals, the report concludes. Scalar Decisions was recently bought by CDW Canada. Click here to read the full report. Registration required.